To Learn more about a product or to order click on an image link at bottom of this page or use our search function above. 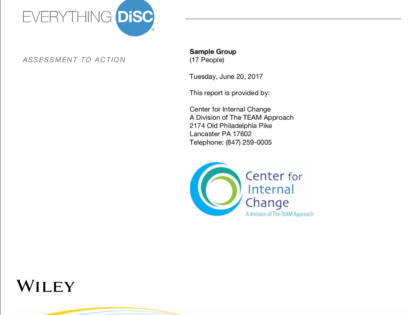 The Everything DiSC Profile Collection: Subject Specific Assessments, Profiles, and Training/Facilitation Materials and Group Reports. 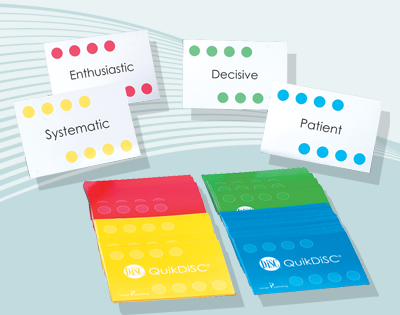 Use DiSC to help employees understand how they respond in conflict situations and begin to use conflict more productively. Follow-up reports that can be created for any two participants to illustrate their similarities and differences. 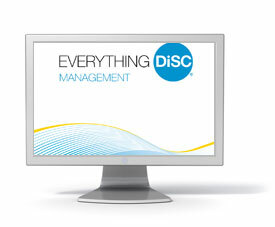 Unlimited access available at no additional charge with all Everything DiSC profiles. 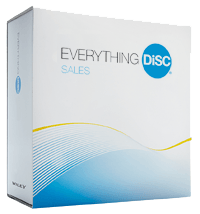 Provides more detailed data about an Everything DiSC assessment and helps facilitate a richer discussion about a respondent’s DiSC style, including unexpected items. 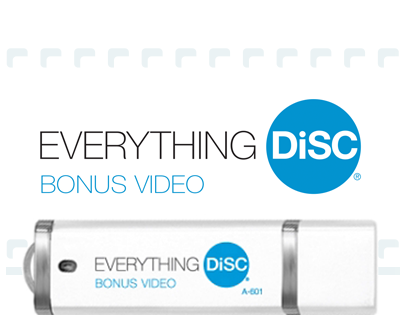 Unlimited access available with all Everything DiSC profiles, excluding Everything DiSC 363 for Leaders. Easily downloadable from your EPIC account, or call about receiving the supplemental reports for instant access codes purchased from Center for Internal Change. 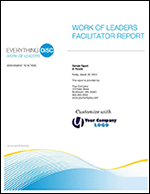 Provides a composite of your group’s DiSC® styles and information on how DiSC styles can impact your organization’s culture. Includes the names and styles of each participant. Sold separately. This free report provides multiple DiSC maps side by side for a group to easily view the spread of DiSC styles on their team. Hand out during a training event or bring to your next team meeting to remind everyone of each person’s style. Ideal for your DISC trainings and workshops. They make great gifts and tokens to reinforce any DISC training experience. DiSC card game compatible with DiSC Classic and Everything DiSC training.